The 365 Challenge was a one-year secondhand clothing challenge seeing our Founder, Christina Dean, only wearing 100% dumped and discarded secondhand clothes to promote the ‘Redress it, don’t bin it’ concept. Every day from January to December 2013, Christina wore secondhand clothes, working with 12 fashion stylists, their sustainable style-kits and a huge dose of fashion activism to put secondhand clothes on the fashion frontline. The challenge was split into 12 monthly sustainable fashion themes, including capsule wardrobe, durability, repair, DIY, sustainable laundry care in order to showcase 365 inspiring ways to keep clothing waste out of landfill and in the fashion loop. All secondhand clothes were sourced with support of Friends of the Earth (Hong Kong) and TRAID (for August) and most of the clothes (except those favourites Christina just couldn't let go of!) were be sold to raise funds for Redress and Friends of the Earth (Hong Kong). The challenge provided consumers with tricks and techniques to prolong their clothing’s lifespan in order to avoid landfilling functional and fashionable clothes and raised awareness about our high clothing waste rates in order to inspire and inform changes in consumers’ wardrobe management. Watch the campaign video here. Fashion consumption has increased approximately 60% over the past 10 years. With it, we have witnessed a general increase in clothing waste rates entering landfill. 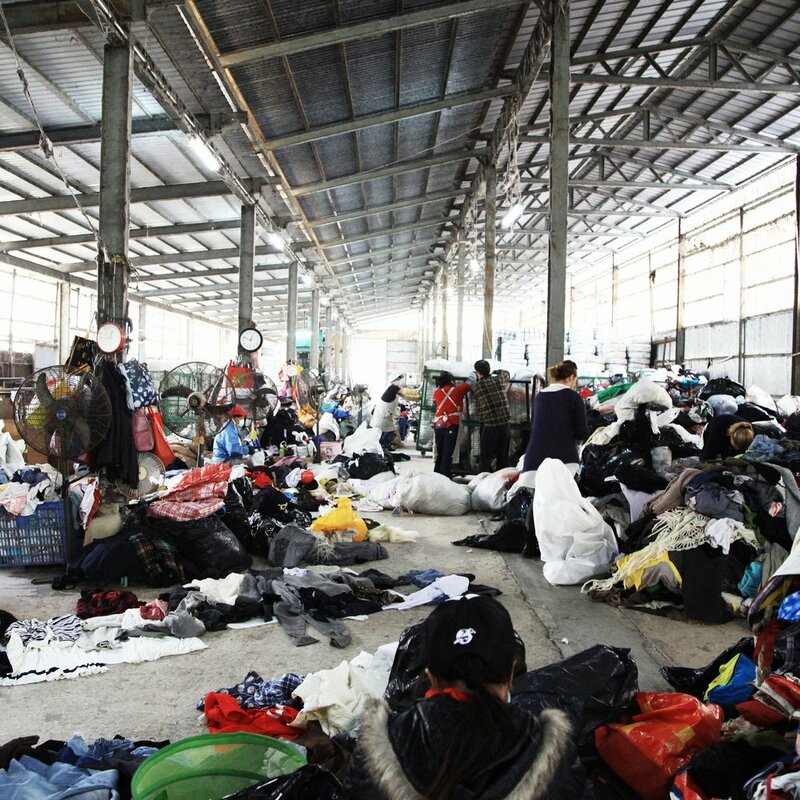 In Hong Kong in 2011, 217 tonnes of textiles were dumped into our three landfills every day. The environmental impact of landfilled clothes is detrimental because not all clothes are biodegradable. This adds pressure to landfills and results in the emission of a climate-change-inducing cocktail of chemicals. Meanwhile, almost 100% of textiles are recyclable. They can be restyled, reconstructed and repaired in a multitude of creative and cost-saving ways. Finally, clothes can be recycled, up-cycled or downcycled to give them a ‘new’ life, which reduces pressure on virgin resources and landfill. Co-founder of an online eco-boutique, compulsive traveller and occasional yogi. Born in Moscow, brought up in Spain, educated in London, now settled in Hong Kong. Having learnt about the dirty business of fashion, Tania with her partner Sam (who she met through blogging) decided there had to be an alternative. After failing to find an online store that combined ethics and aesthetics they decided that they spotted an opportunity and so A Boy Named Sue was born. Julie’s background is as diverse as her experience in fashion. She is a mix of Indian, Italian and Greek origin and she was raised in the US and now lives in Hong Kong. Julie’s styling and photo-shooting experience in New York for clients including Proenza Schouler and Rouland Mouret, coupled with her Asian clients, Lane Crawford and Harvey Nichols, provide her with a unique insight into this month’s theme of durability.